The UK Competition and Markets Authority wants to break the grip of the Big Four accountants. It may duck radical measures, like forcing them to separate bookkeeping and consulting. Even simple ones, like market share caps and joint audits, will mean higher costs for companies. 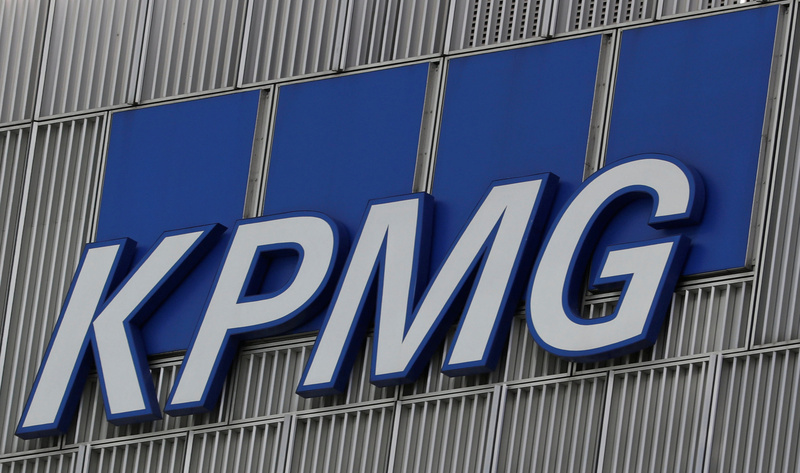 The KPMG logo at the accountancy firm's offices in the Canary Wharf financial district in London, Britain, March 3, 2016. Britain’s Competition and Markets Authority (CMA) on Oct. 9 launched a fast track review of the UK audit sector, to improve the quality of bookkeeping and choice for companies. The review follows the collapse of construction company Carillion, and calls by British lawmakers for the CMA to consider breaking up the so-called Big Four accounting firms: Ernst & Young, KPMG, Deloitte and PricewaterhouseCoopers. The CMA market study will examine how easy it is for companies to switch auditor and whether the Big Four’s dominance threatens competition. It is considering actions including separating audit firms from consultancies, forcing companies to use more than one auditor, and requiring shareholders to approve auditors, rather than company boards. The watchdog has written to the government to say that legislation may be needed to implement its findings. The CMA’s predecessor, the Competition Commission, recommended five years ago that Britain’s top 350 listed companies put their audit work out to tender at least every decade.